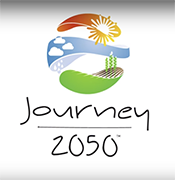 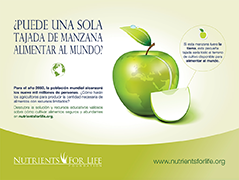 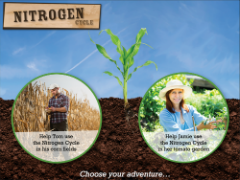 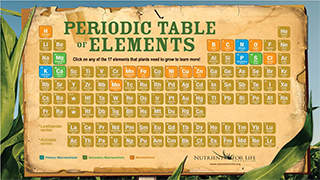 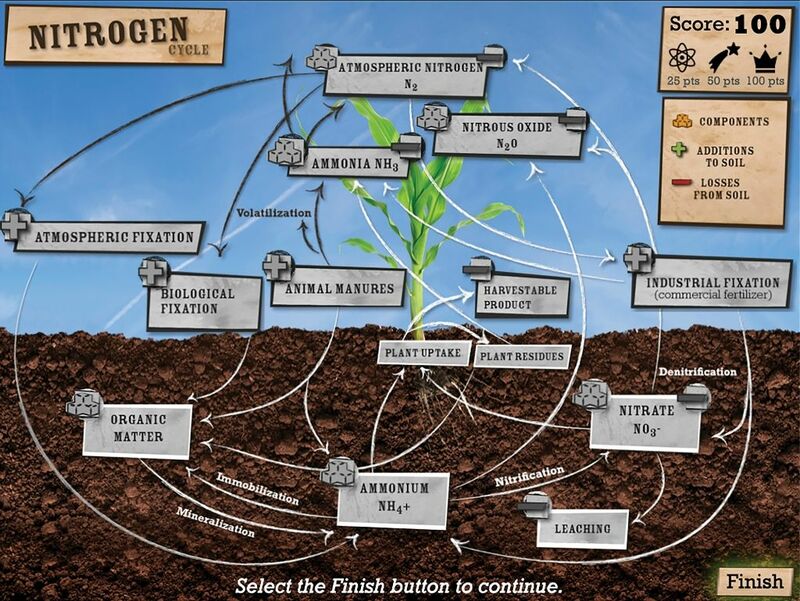 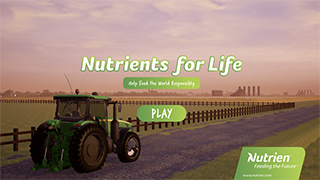 In the Nitrogen Cycle Challenge online game, students will work their way through one of two scenarios, filling in the Nitrogen Cycle and learning and how it matters to our crops and gardens. 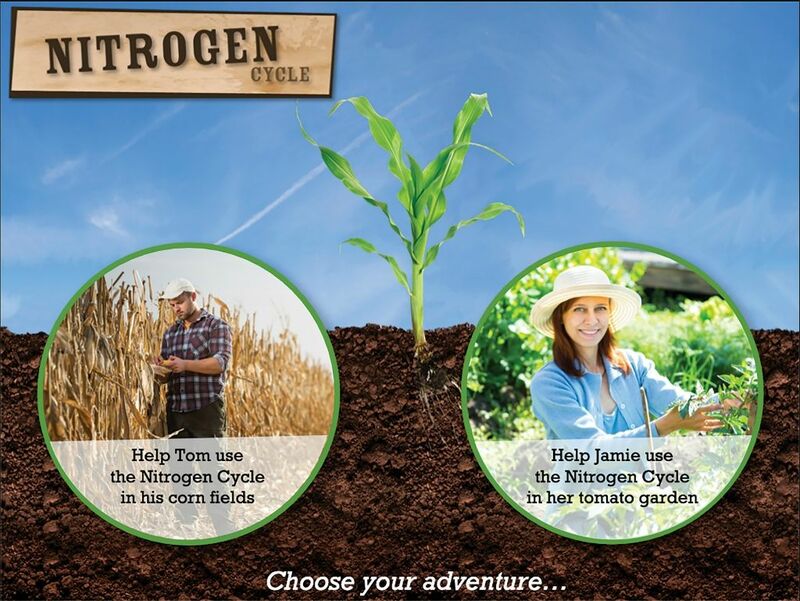 Test your knowledge as you help Tom or Jamie work their way through the nitrogen cycle. 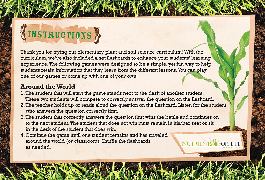 Head out to the corn field or tomato garden, earning high scores and badges along the way.